William will be performing at the 25th anniversary Baton Rouge Blues Festival April 13th-14th. Get tickets here. William will be performing at the 2019 Beale Street Music Festival in Memphis, TN on May 4th. Click here to get tickets! 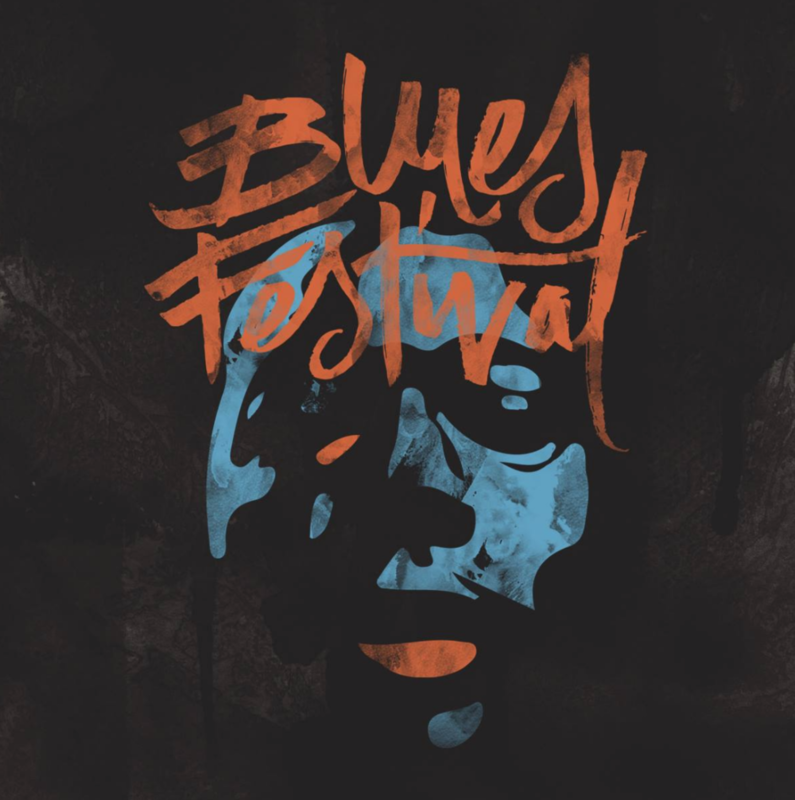 William Bell has been nominated for Best Soul Blues Male Artist by The Blues Foundation! If you are a Blues Foundation member and would like to vote for William, voting closes at the end of February. Click here to vote. William Bell’s interview with World Cafe is now available on-demand. Click here to listen! World Cafe will be broadcasting William Bell’s episode across all affiliates on Monday, Dec 17, 2018, and select affiliates will broadcast it early on Saturday, Dec 15. Click here to find your local station. If you miss it, you can find the on-demand stream of the episode here. 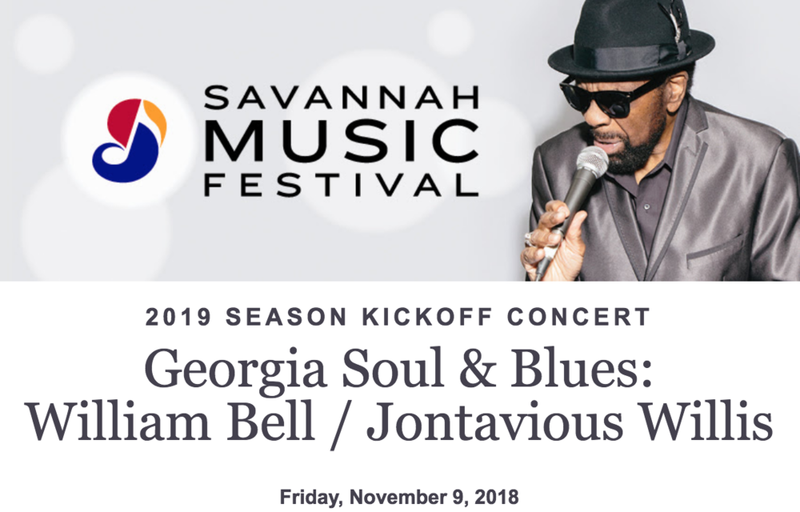 William sat down with the people of Connect Savannah before his show that will kick off the Savannah Music Festival season in early November. Click the image above to read more! 1968: one of the most historic and revered years in the history of soul music. Stax Records released numerous songs throughout that year, including several of William Bell’s earliest hits. They have now released a box set including all of those historic singles, which you can find out more about by clicking here. William will be performing at the Lucas Theatre for the Arts in Savannah on November 9th. Click here for tickets. William Bell has released a new single in collaboration with the Amazon Original “Produced By” series. The song was produced by Matt Ross-Spang and can be heard here. Stax Records will highlight its 1968 releases with the forthcoming five-disc box set, "Stax ’68: A Memphis Story." The massive box set – which includes songs from Otis Redding, the Staple Singers, Booker T. & the M.G.’s, Isaac Hayes, William Bell, and Rufus and Carla Thomas – will feature 134 songs. Click here for more information. 'The Soul Of A Bell' reissue on vinyl: available now! For the first time ever, 'The Soul of a Bell' is available on vinyl! Click the image above to get your copy of the historic reissue and to hear William's interview with Vinyl Me Please. For the second consecutive year, William Bell has been nominated for a Blues Music award. This year, he is nominated alongside artists Curtis Salgado, Don Bryant, Johnny Rawls, Sugaray Rayford, and Wee Willie Walker. The winners will be announced on May 10th in Memphis at the 39th annual ceremony. To see all of the nominations, click the image above. William Bell is receiving David Porter's 2017 Epitome of Soul Award by Stevie Wonder at Horseshoe Hotel and Casino in Tunica on November 11th. This event will include performances by William, Stevie, David, Richard Roundtree and more! William has embarked on the Take Me To The River tour and it is off to a great start! Click on Tour Dates above for ticket information to a show near you! Rolling Stone's 'Best of the Grammys' this year! William is honored to be featured as one of Rolling Stone's "best of of the Grammys" this year! In the article, William's performance of "Born Under a Bad Sign" with Gary Clark Jr. is highlighted. Click HERE to read the full article! Watch the moment William unwraps his Grammy Award for "Best Americana Album 2016" for his album "This Is Where I Live"
William will be performing at Jazz Fest on Friday, May 5th along with Dave Mathews and Tim Reynolds, Margo Price, The Revivalists, and many more. Check out the whole lineup by clicking the photo above. William won his first ever Grammy award Sunday, and topped it off with a performance of his classic song, "Born Under A Bad Sign," along with Gary Clark Jr on the CBS telecast. William is happy to announce that he will be performing along with guitarist Gary Clark Jr on the Grammys telecast on Feb. 12th! The awards show will be broadcast on CBS at 8 PM ET/5 PM PT. Congratulations to William on his three 2017 Blues Music Award Nominations in the categories of, Album (for "This Is Where I Live"), Soul Blues Album (for "This Is Where I Live"), and Soul Blues Male Artist. We're so proud of William and his two Grammy nominations! Best Traditional R&B Performance (for the song "The Three of Me") and Best Americana Album! On Nov. 3rd William will be inducted in to the Memphis Music Hall of Fame where he will be joining other music powerhouses such as Johnny Cash, Al Green, Justin Timberlake, and more! William won the Lifetime Achievement Award for his long and successful career in song writing for hits like "You Don't Miss Your Water," "Born Under a Bad Sign," "Everyday Will Be Like A Holiday," and more! Pictured above his William and Bonnie Raitt after their performance at the AMA's. William Bell's Tiny Desk performance premiered on NPR Music. Click here to see the whole performance! Click the photo above to see all the songs that NPR Music loves so far this year! William was featured on NPR's Fresh Air on June 11, 2016. Take a listen to him talk about his interview above and read more about the episode here. The The New York Times featured an article about William Bell! He speaks candidly about the new record, out on Fri., June 3rd, with comments from Booker T and John Leventhal. To read the full article, click the photo above. 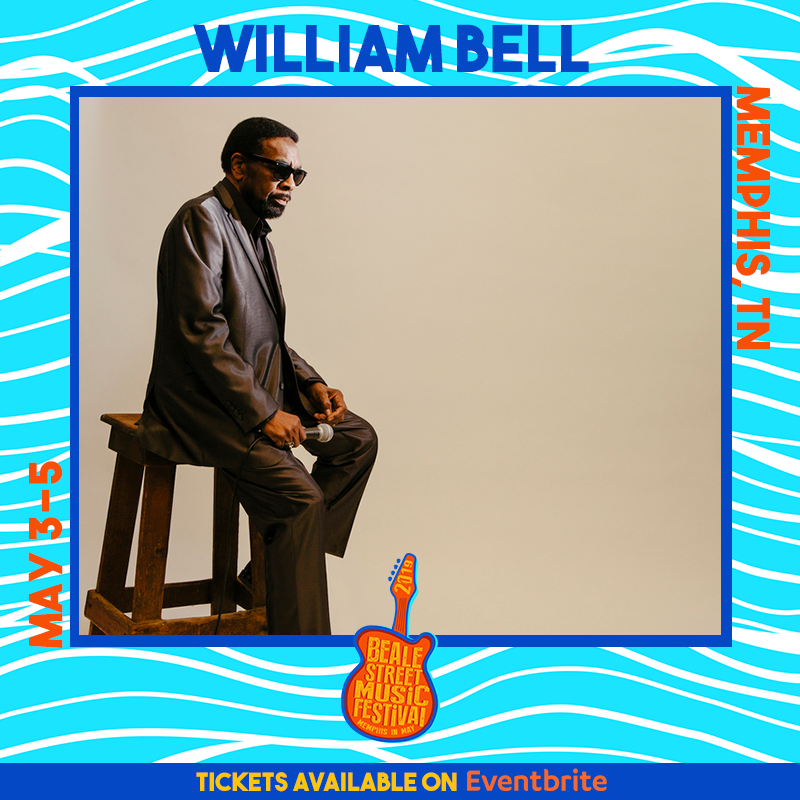 William Bell will be backed by a special band assembled by "This Is Where I Live" producer, John Leventhal, on June 7th. The title track of William's new album, "This Is Where I Live," premiered on Noisey. To read more about the upcoming album and to listen to the track, click here. William appeared on the Leonard Lopate Show to talk about his upcoming album, "This Is Where I Live." Take a listen to the full interview and a clip of "Poison In The Well" here. The single "Three Of Me" Premiered on NPR's Songs We Love. William also had an interview about the upcoming album "This Is Where I Live," out on Stax-Concord Records June 3rd. To listen to the song and read the interview, click here.